Do folks do anything overnight, fire, heater etc to have there smoker up to temp quicker in the am? Or just stick a bunch of wood in her and fire it up! I preheat my cookers with my flame thrower. Start your cooker 1 to two hours early to get her acclimated to the colder temps. ^^^ what they said. I personally wouldn't know what sleep was if it jumped up and down waving its arms in my face, so I usually just start the fire a bit earlier. Lol! 12 hours later, one brisket most excellent, one meh a little dry even though it was pulled way before the other. Will have to say that it was the first time I ever bought a brisket with patches of grey meay to slice out in trimming, they were the last two that the place had. The butts could have used another hour but were still tasty. Normally on my smoker, which needs rebuilt) brisket takes me longer than buts. So we had bbq a big bonfire and scotch, not a bad gathering. I'm not leaving the couch today. 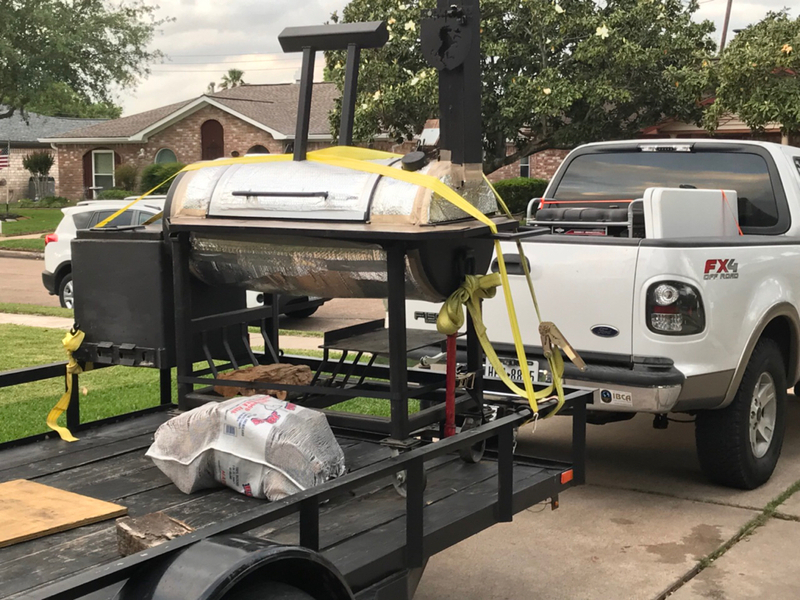 Thanks for posting, love the pix and what's better than being up all night naming a fire of a strange smoker. Thanks. That’s my 20 year old Pitts and Spitts and my 8 month Kamado Joe. I have to give efficiency to what an egg does. However my old stick burner has done some magical cooks. I guess I helped a little. But I thank the cows, the charcoal, and the wood that has crossed my path.... This was also a challenge to see that I could maintain both cookers in this weather. I was relieved that the results I got were pretty good. That's being a Pit Warrior!!! TexMike wrote: That's being a Pit Warrior!! !